Опитвали ли сте някога чай Sonnentor? До края на месеца имате възможност да му се насладите във всеки един от магазините на Биомаг безплатно. Просто отидете и попитайте за австрийския чай Sonnentor. 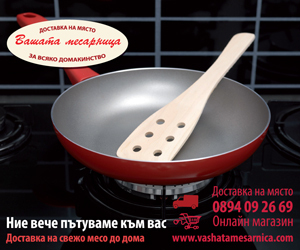 Джон Гудман (на снимката) създава австрийската фирма с идеята да продава биологично отглеждани стоки в Австрия и извън пределите на страната му. Към момента за Sonnentor работят над 150 земеделски производители, които отглеждат висококачествени суровини за биологични билки и подправки, изнасяни в над 45 страни по цял свят, включително и за България. Всички чайове и билки на Sonnentor са органично отгледани и изключително висококачествени. Къде мога да опитам чайовете Sonnetor до края на декември безплатно? 62 коментара на "Дегустация на чай Sonnentor в Биомаг"
I just want to tell you that I am just new to blogging and site-building and seriously enjoyed your website. Probably I’m likely to bookmark your blog . You absolutely come with incredible articles. Bless you for sharing your blog site. I just want to say I am just all new to blogs and definitely liked you’re blog. Probably I’m want to bookmark your site . You surely come with incredible well written articles. Appreciate it for revealing your web site. I just want to say I’m new to blogs and truly savored this blog site. Most likely I’m going to bookmark your blog post . You really have awesome article content. Thanks for sharing with us your web-site. I simply want to tell you that I am beginner to blogging and site-building and honestly enjoyed this web site. Likely I’m going to bookmark your website . You absolutely have excellent posts. Thanks for revealing your website. I simply want to tell you that I’m new to blogging and site-building and actually loved you’re website. Very likely I’m want to bookmark your website . You certainly come with tremendous writings. Kudos for sharing with us your web-site. I just want to tell you that I am all new to blogs and truly liked this website. Very likely I’m going to bookmark your blog . You really come with remarkable well written articles. Bless you for sharing your blog. I simply want to tell you that I am just newbie to weblog and seriously liked you’re blog. Most likely I’m going to bookmark your blog post . You really come with impressive stories. Thanks a lot for sharing your blog site. We are a group of volunteers and starting a brand new scheme in our community. Your web site provided us with helpful info to work on. You’ve performed a formidable job and our whole neighborhood can be thankful to you. I simply want to tell you that I am just beginner to blogs and absolutely loved you’re web blog. Likely I’m going to bookmark your blog . You amazingly come with remarkable articles and reviews. Thanks a lot for revealing your webpage. I simply want to tell you that I am just all new to blogging and certainly loved your blog. Almost certainly I’m going to bookmark your blog . You actually have excellent article content. Thanks a bunch for sharing with us your website page.